The crew here at Kalalou is teeming with enthusiasm and with good reason! 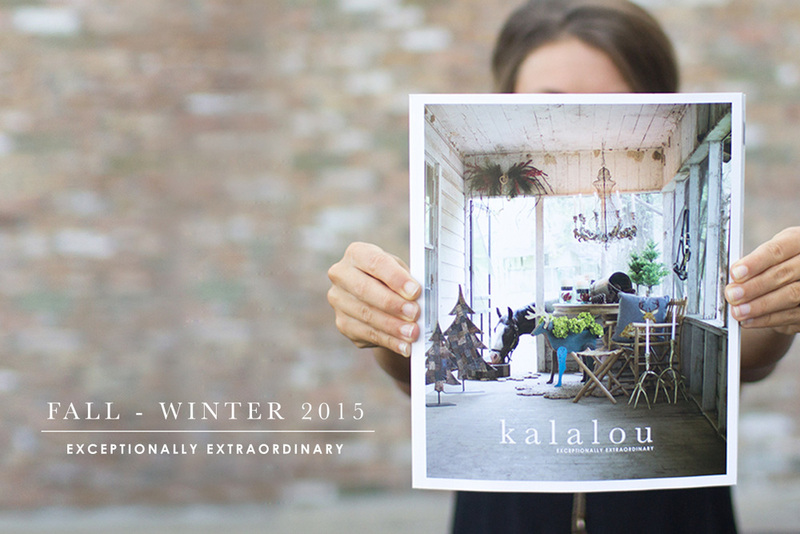 We just got our hands on the new 2015 Fall - Holiday Kalalou catalog, and simply put….our amazing design and product development team has outdone themselves! This book is a breath of fresh air – if not downright stunning! And it will be landing at your front door any day now! You’ll find it to be stocked full of the most incredible assortment of fresh accessories in the industry. And best of all, it includes well over 600 NEW introductions – the largest single introduction of new items in our 29 year history! Don’t just survive – let’s thrive in the second half of 2015! We have a plan for you! I encourage you to contact your sales specialist or make plans to visit us at an upcoming market and review what is sure to be the most exciting line in the biz! Let us help you become the most enlivened, fresh, and bustling business in town! Available at www.kalalou.com or by calling 1.800.249.4229.